An innovative technology is transforming the patient experience at St. Clair Urgent Care at St. Clair Hospital Outpatient Center, at Village Square, in Bethel Park. 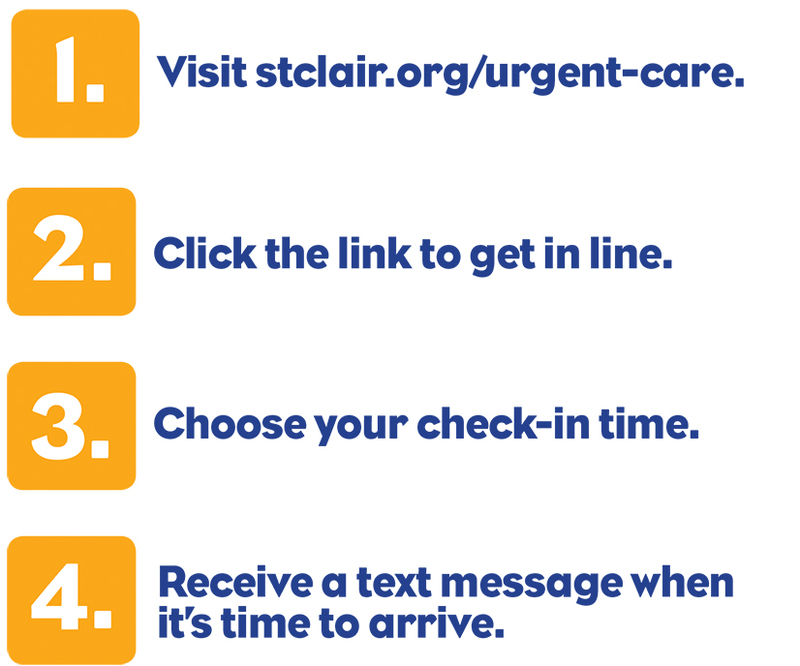 A new self-scheduling tool makes it possible for people who wish to be seen at St. Clair Urgent Care to register electronically, reserve a spot in the patient queue, monitor their progress in the line and receive a text message when it is time for them to be seen. Best of all, it can be done from the comfort of home or office. The online registration system streamlines the delivery of care at St. Clair Urgent Care, minimizing waiting and keeping the patient constantly informed of the status. It helps eliminate the frustration of not knowing how long the wait will be and it greatly reduces waiting periods during busy times. 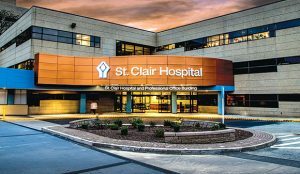 Registering online not only offers advantages to patients, but also helps the St. Clair Urgent Care staff. The system facilitates the logistics of treating the wide variety of patients, providing data to anticipate needs and prevent a backlog of patients. To access the online registration system, please visit stclair.org/urgent-care.